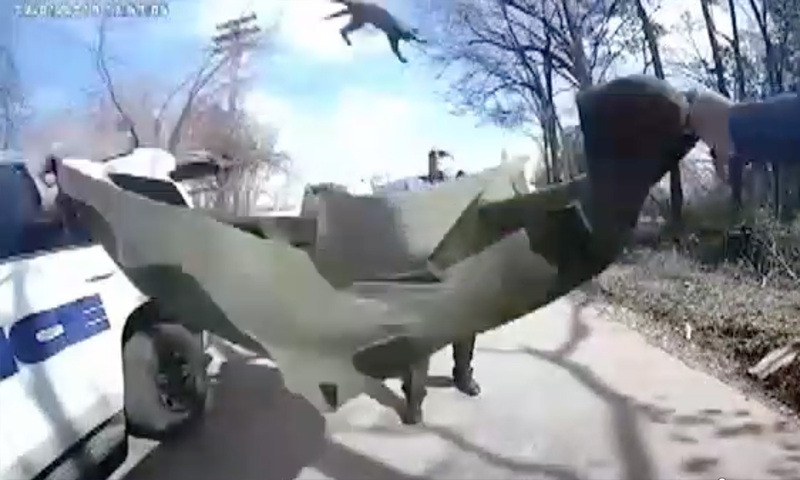 Police rescued a tiny kitten that was stuck in a tree in Lufkin, Texas, and it was all captured on one officer’s bodycam. Late last week, Officer Devin Trotti and Officer Randy Stallard encountered a kitten stuck about 30 feet up in a tree while they were on civil standby duty. The kitten jumps and the officers catch it with the blanket. The kitten, a female now named “Trotti” after one of the men who saved her was taken to a local animal shelter and is up for adoption.